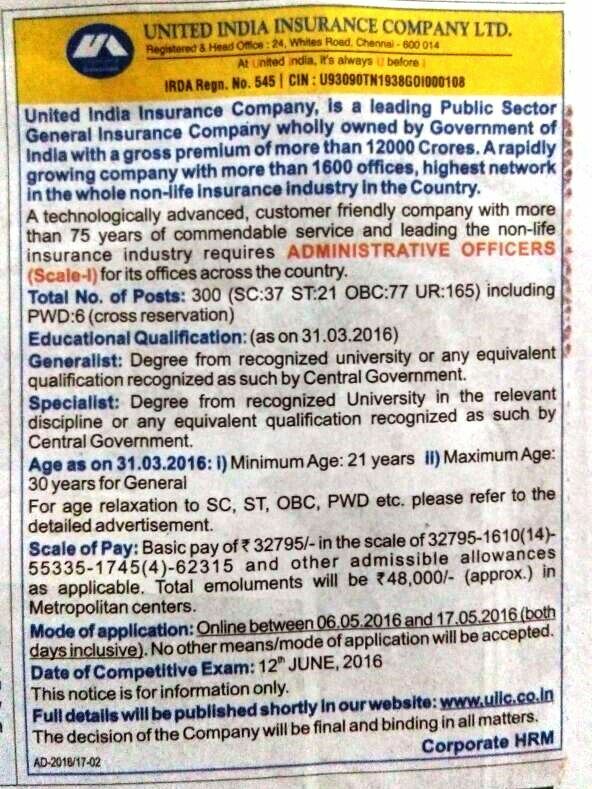 UIIC AO Recruitment 2016 Notification Along with online application is released for 300 vacancies of administrative officer to apply online for scale 1 notification application form is available at official website www.uiic.co.in Eligible candidates who are interested can check the details of the notification here and apply for the posts online. Other details like age limit, educational qualification, selection process & how to apply are given below. For Generalist: Degree form recognized University or any equivalent qualification recognized as such by Central Government. For Specialist: Degree from recognized University in the relevant discipline or any equivalent qualification recognized as such by Central Government. Visit the official website of UIIC.